Our forum members have only JUST started to warm to Kendall Jenner as a model. She recently managed to win them over with the cover of Vogue Korea and a spectacular Missoni campaign for Spring 2018. 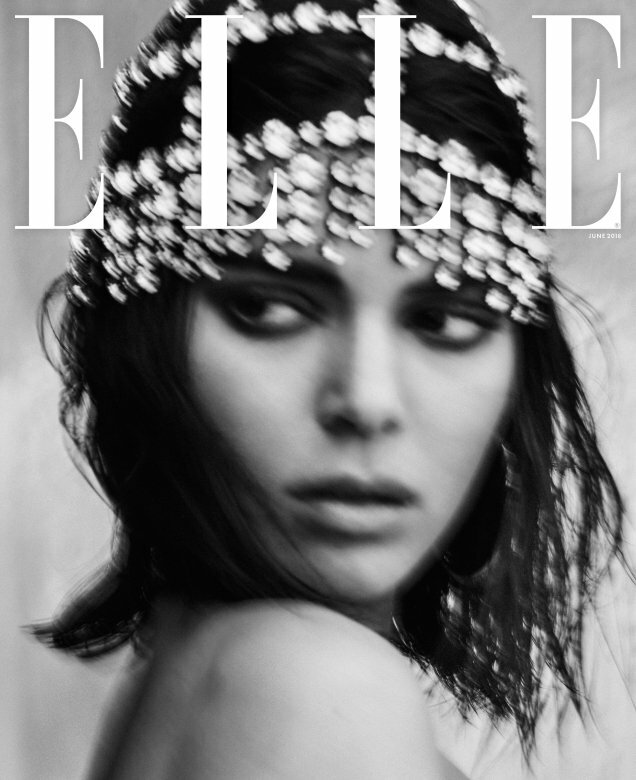 Kendall continues to dominate the newsstands, scoring her third American Vogue cover back in April and now takes to the cover of ELLE for the very first time. Nina Garcia enlisted photographer Chris Colls to captured Kendall in the Californian Desert for the June 2018 issue, resulting in a stunning newsstand cover. Kendal gives us major flashbacks to the good old days of the magazine in the late 80s, wearing Givenchy (styled by Anna Trevelyan), a subtle makeup look and wind-swept hair. Members of our forums gave their approval instantly. “Who made this miracle? Kendall, you go girl!” championed ivano. “This is a beautiful cover. Gorgeous colors, and the perfect amount of text. Kendall is serving some serious melancholy but it works wonderfully. I’m very impressed with this cover and I might just pick it up. It will be the first time I purchased anything with Kendall on it by choice,” confessed GivenchyHomme. “This reminds me of late 80s, early 90s Gilles Bensimon covers. Love it,” samoanceleb raved. “ELLE is absolutely killing it recently – I’ve been really loving their issues and this is no exception. Great to see Chris Colls shoot a major American magazine, I’ve loved his work for some of the Vogues and The Edit, Porter etc. Kendall looks great here too. Really pleasantly surprised,” echoed 333101. Simon shared the same enthusiasm as everyone else. “Werk. Considering what she’s delivered in the past, I am digging this,” he said. Take a look at Kendall’s accompanying cover story for the issue and join the conversation here.